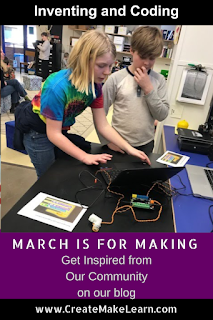 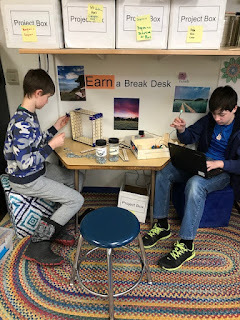 Today's March is for Making is shared with us from Marcia Gauvin - STEAM teacher at Woodstock Elementary School. 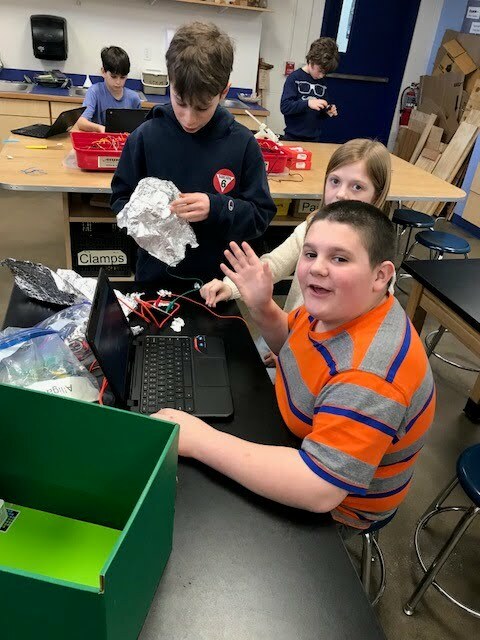 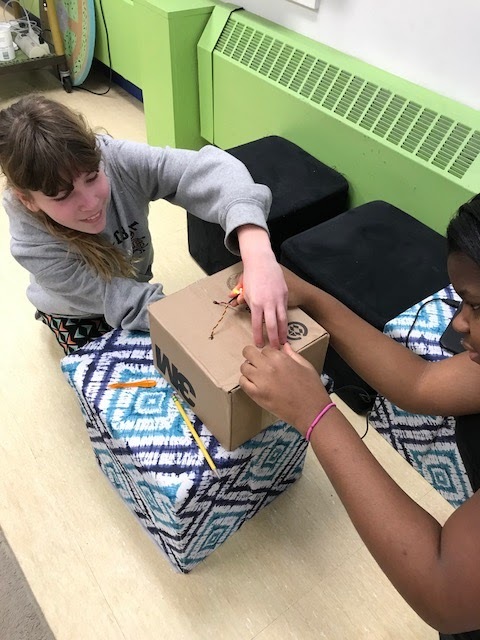 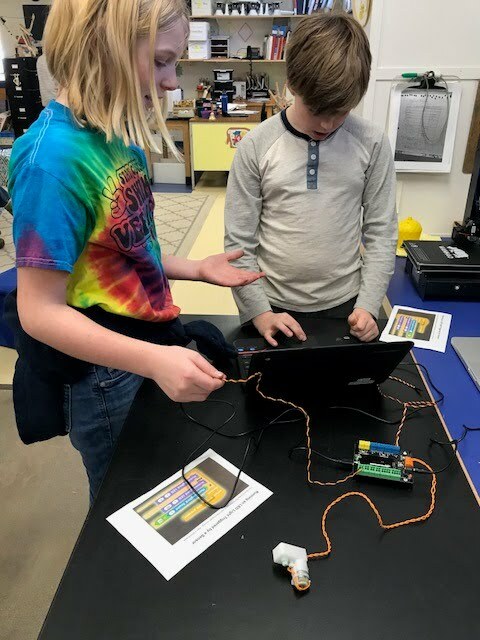 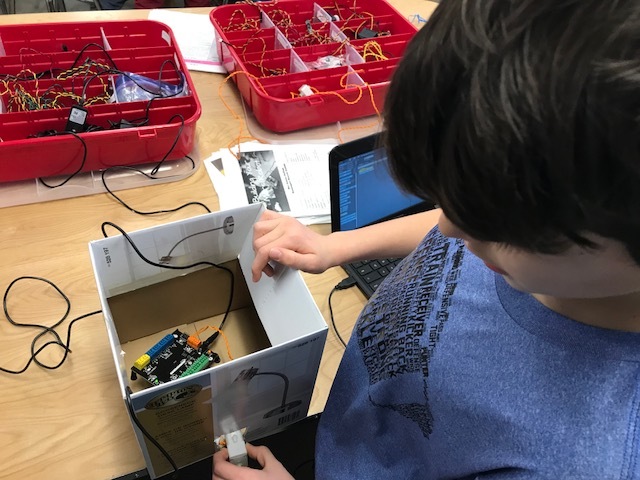 What type of inventions do 5th and 6th graders when you give 5th and 6th graders who just watched the SpaceX Falcon Heavy launch some Hummingbird Controllers kits from Birdbrain? You see a mustard bottle get transformed into an alarm clock? 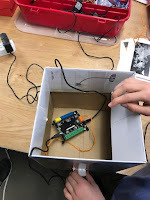 or perhaps or a dancing disco ball! 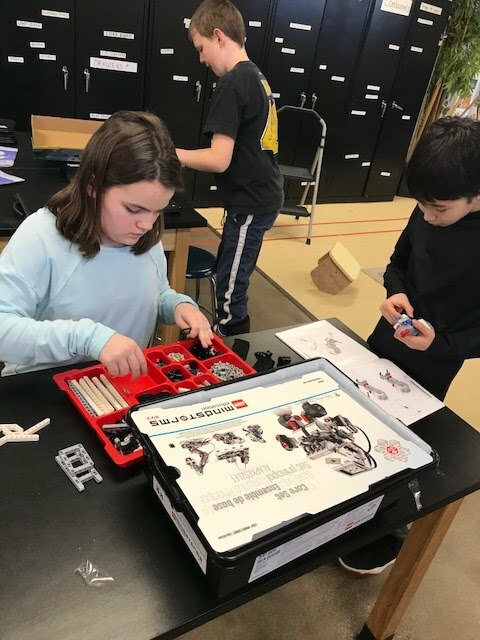 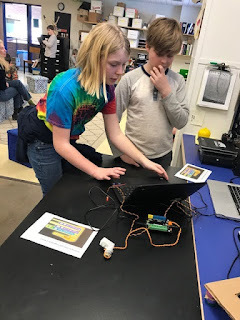 Not only where these 5th and 6th graders from Woodstock Elementary introduced to robotics and coding using the Hummingbird kits with Scratch and Snap, but they were also doing some deep thinking and arguing both for and against the colonization of Mars. 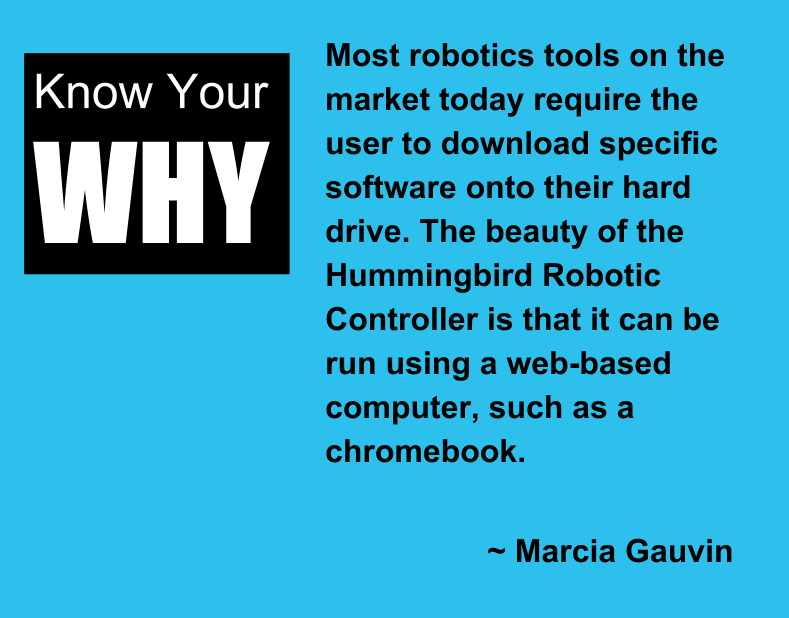 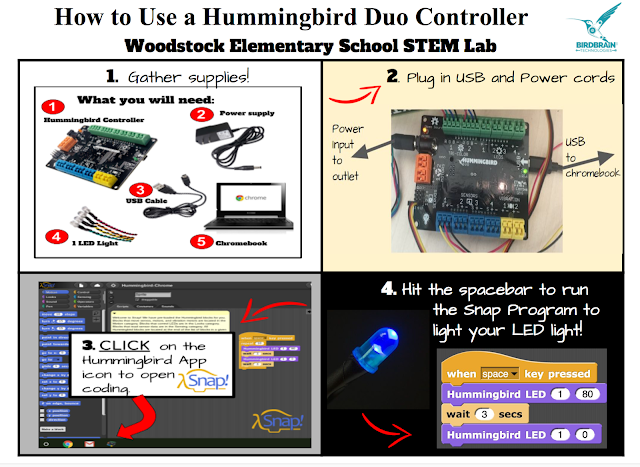 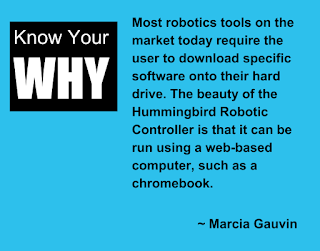 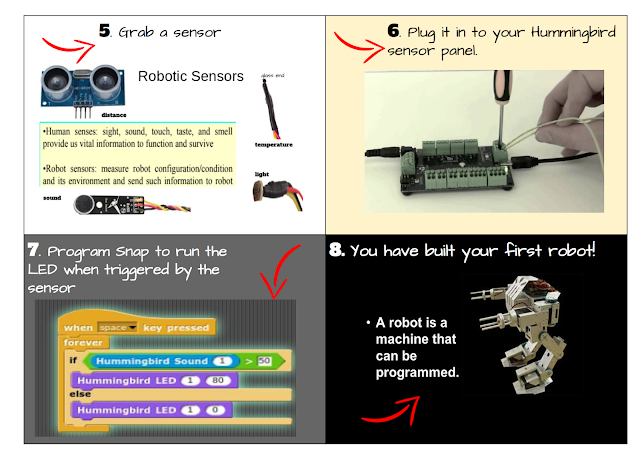 Marcia Gauvin, STEM teacher at Woodstock Elementary introduces Robotics using the Hummingbirds using this mini lesson. 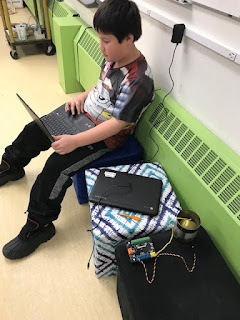 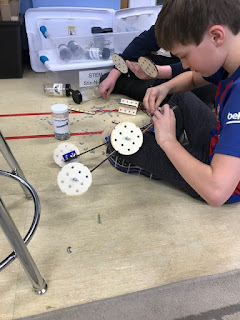 Soon the students are launched into inventive thinking using the sensors, motors, and lights along with block styled coding in a way that truly integrates (S)cience (T)echnology (E)ngineering (A)rt and (M)ath! 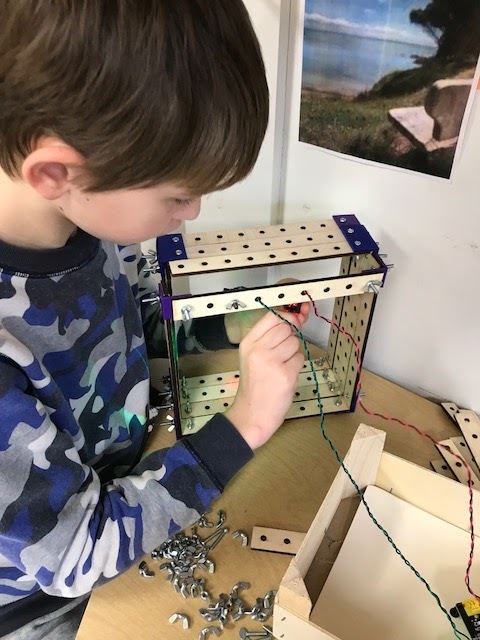 You can get a sense of what it was like to invent with Hummingbird kits by reading through this great Instructable Mini Course authored by Marcia Gauvin or by checking out some of the pictures she shared with us. 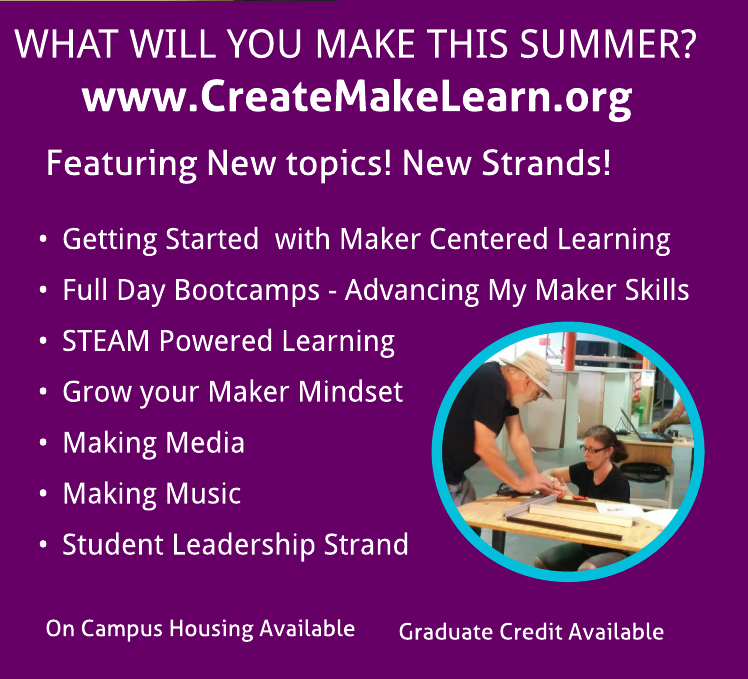 Marcia is no stranger to the Create Make Learn Community. 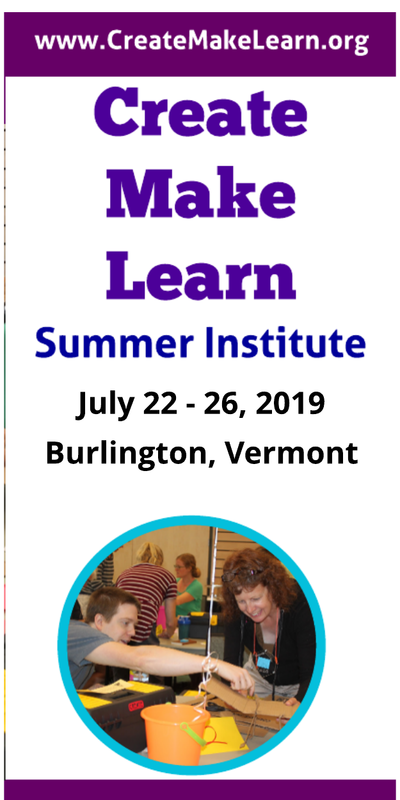 Last year she shared how she introduces woodworking in grades K-6 as a special guest at our Create Make Learn Summer Institute. 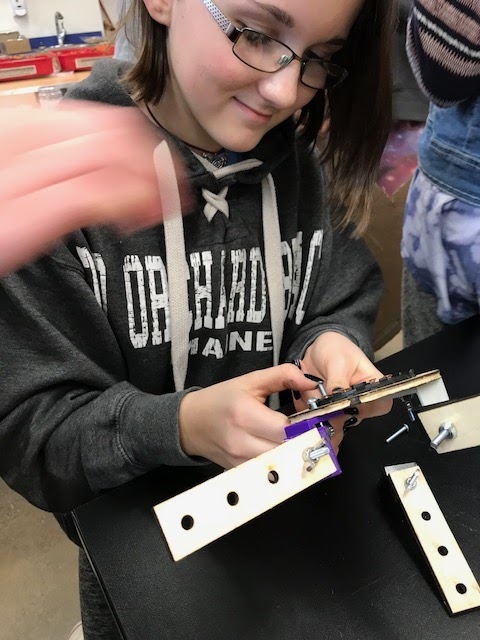 This year we are begging for more and she had agreed to come work with us for a whole day!